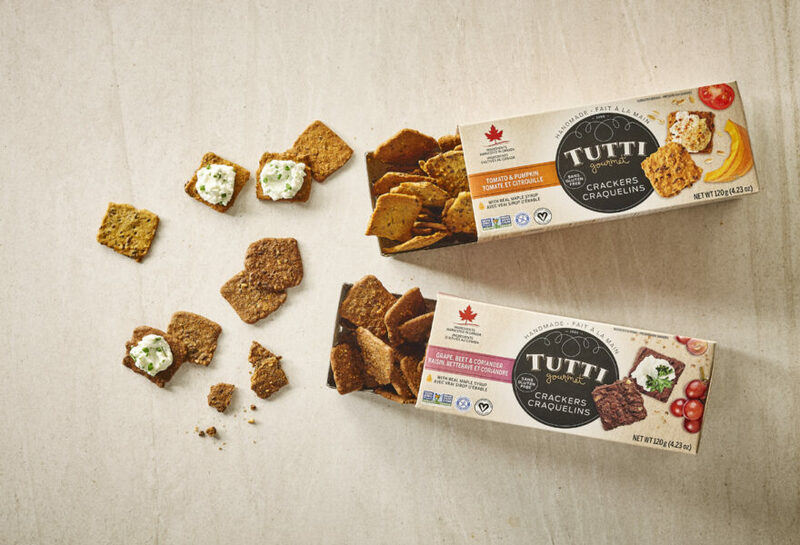 Have you heard about Tutti Gourmet crackers? They’re nice and crunchy, made of ingredients that are good for you, allergen-free, and sweetened exclusively with maple syrup. We love them! They come in two flavours – tomato-pumpkin and grape-beet-coriander. They go great with cheese, soup, and spreads, especially our maple-edamame hummus. They’re even delicious just on their own and make a good snack, so have them around in case the afternoon munchies hit! Tutti Gourmet crackers are also perfect for the kids to take to school because they contain no tree nuts or peanuts. In fact, being gluten-free, corn-free, soya-free, sodium-free with no added salt, and non-dairy, they’re suitable for sensitive or restricted diets. You’ll find these tasty treats in many supermarkets and fine food stores. Check the Tutti Gourmet website to find the point of sale nearest to you.